Love Minnesota? 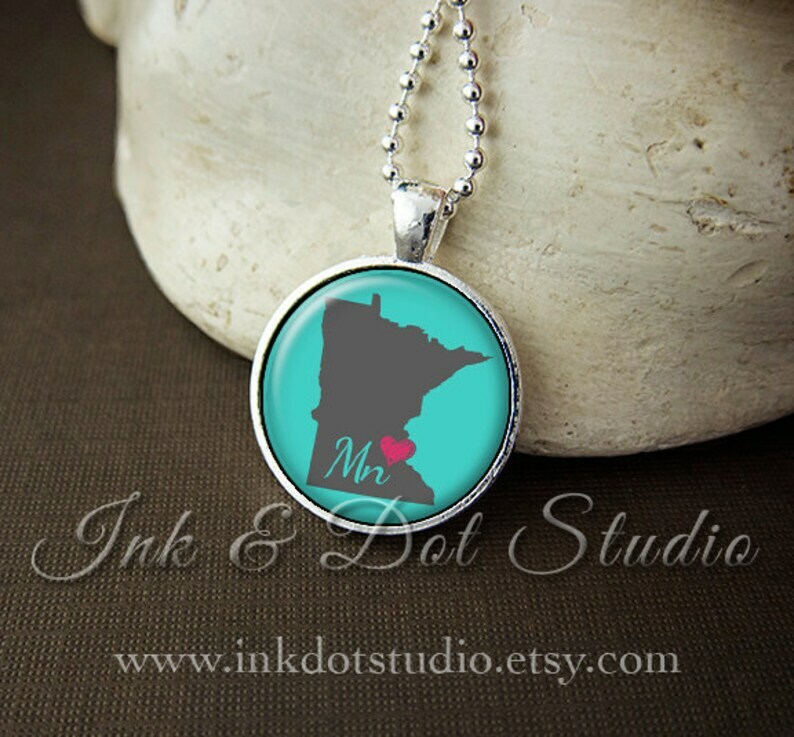 Show off your state pride with this Minnesota state 1" glass pendant necklace! This design is an original by Ink & Dot Studio. Want to move the heart and/or remove the abbreviation? I can do this for no extra charge. I can also accommodate background color changes upon request! You can view my color chart for ideas or submit a color sample for extraction. 1) Upon checkout, please list the desired location of the heart and any background color change you'd like in the "Message To Seller" box. 2) After receipt of order, I will work on your file and send a proof for your to approve within 48 hours. Please check your Etsy messages for this proof. 3) Upon your approval, I will start working on your order. I offer wholesale pricing with low minimum quantities. Contact me for details.